Attend one of the welcome activities, sip Florida Dreamsicles, attend a hot dog or chicken roast, and play trivia games. 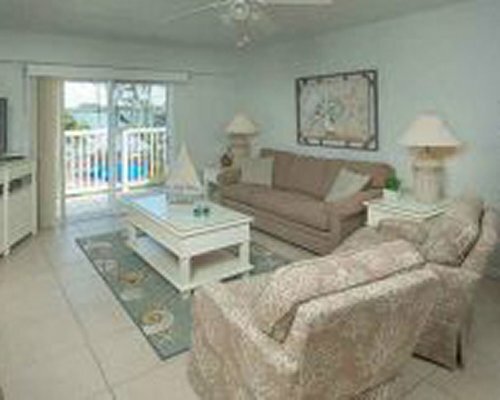 Amenities include a heated pool, Jacuzzi, horseshoes, bicycles, and fishing pier. 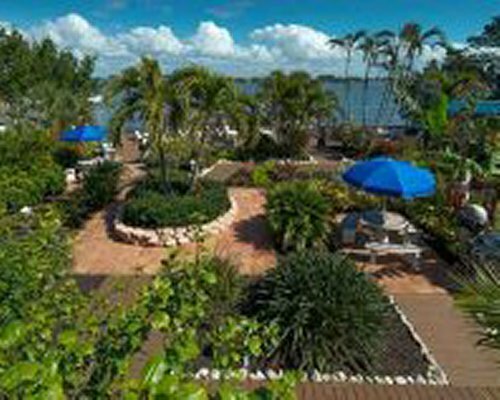 Just behind the resort, visit the tropical gardens; in front, is the pool and spa. 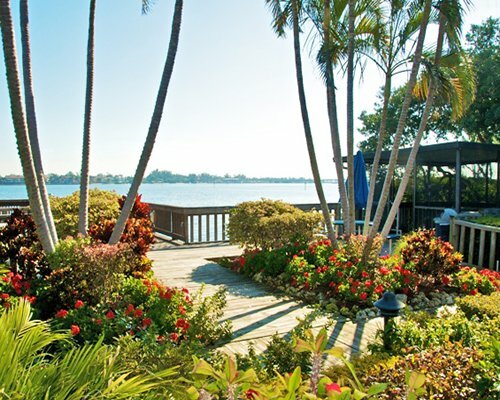 There's a large dock on the bay with lounge chairs, tables, and chairs as well as picnic areas with barbeque grills. 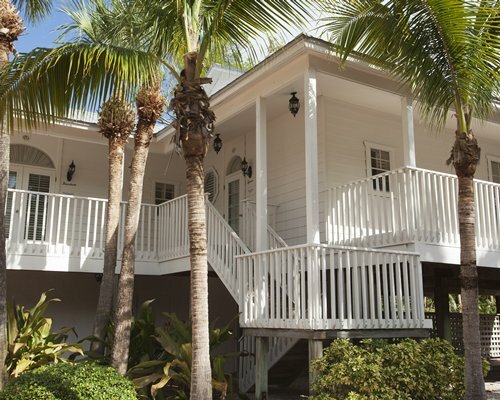 Don't worry about beach chairs, umbrellas, or beach towels because the resort provides them, along with wireless Internet service, bicycles, games, and a book exchange, all free of charge. 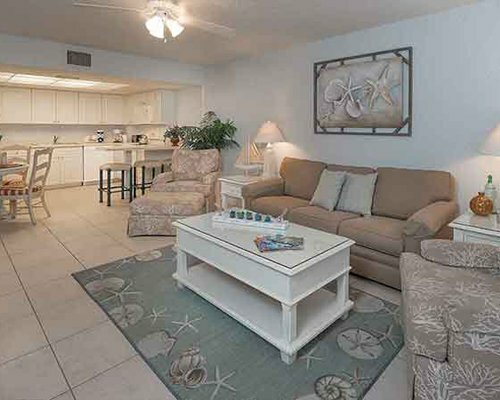 Smuggler’s Cove has well-appointed studio- and 1-bedroom units available. Each studio is equipped with a queen-size bed. The 1-bedroom units have a king-size bed in the bedroom and a queen-size sleeper-sofa in the living room. 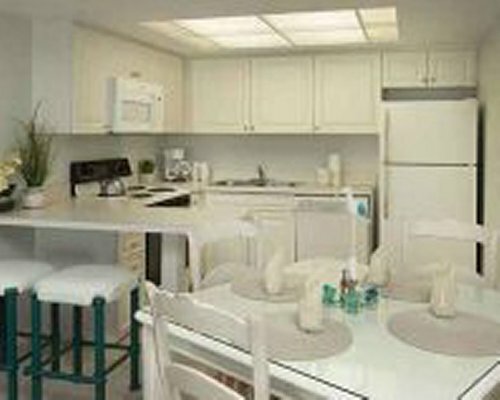 Both types of units have large, fully-equipped kitchens with refrigerator-freezers, dishwashers, standard and microwave ovens, as well as cookware and appliances. Each unit also has a large TV with a DVD player and stereo CD-players. Just ask if you need something…we’ll get it for you! 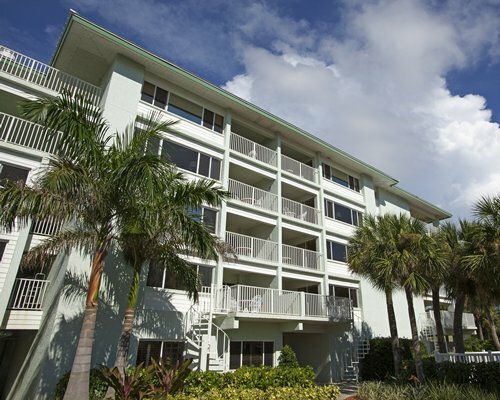 The nearest commercial airport is the Sarasota/Bradenton International Airport, 15 miles away. From the airport, go North on Hwy 41 to Cortez Road West (Country Rd 684) approximately 8 miles and turn left. Stay on Cortez Road heading west till you go over the Cortez Bridge and turn right. 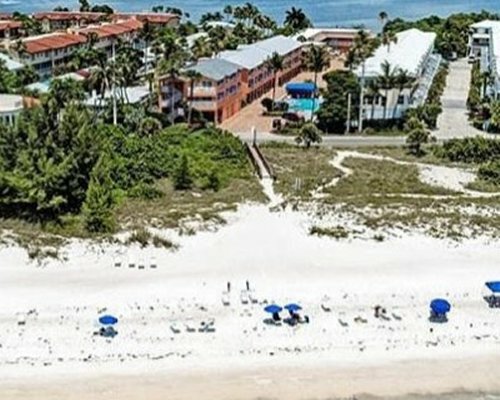 The resort is located .25 miles on the right side-across from the beach. 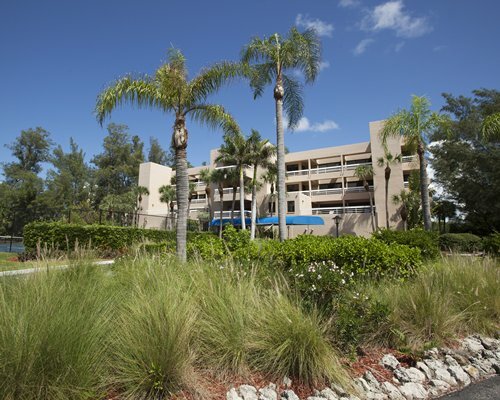 If traveling from the Tampa Interational Airport, take 275 South to I-75 South to Exit 220 (State Rd 64/Manatee Avenue, approximately 15 miles) west, continuing through the city of Bradenton and then onto Anna Maria Island, Turn left at 1st traffic light (East Bay Dr) which turns in to Gulf Drive. approximately 1.5 miles-resort is on left. 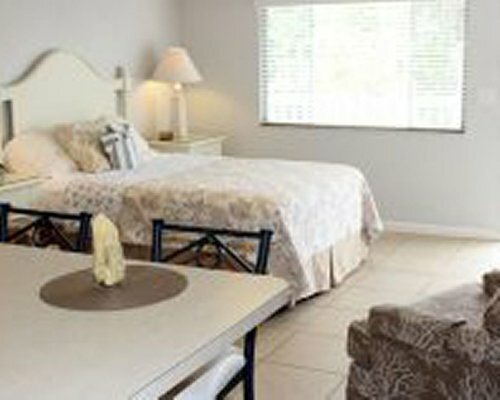 Fee for Studio (per stay): Housekeeping fee for all RCI points reservations: There may be a fee of 24.00 U.S. dollars for Studio, per stay. Cash or Credit is accepted. 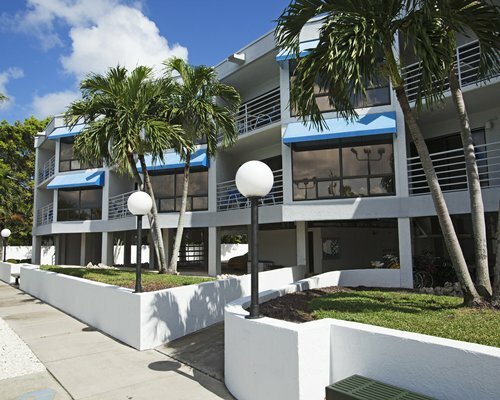 Fee for 1 Bedroom units (per stay): Housekeeping fee for all RCI points reservations: There may be a fee of 30.00 U.S. dollars for 1 Bedroom units, per stay. Cash or Credit is accepted. 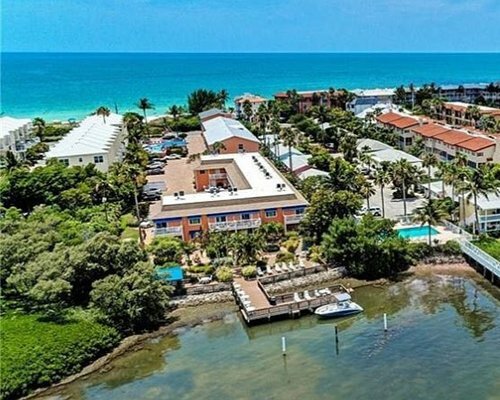 Fee for 2 Bedroom units (per stay): Housekeeping fee for all RCI points reservations: There may be a fee of 36.00 U.S. dollars for 2 Bedroom units, per stay. Cash or Credit is accepted. Only 1 car per unit allowed.